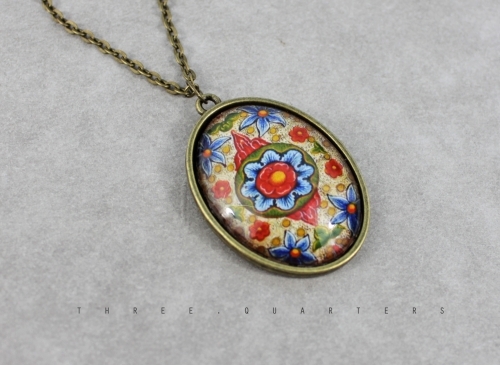 Beautiful necklace with pendant. 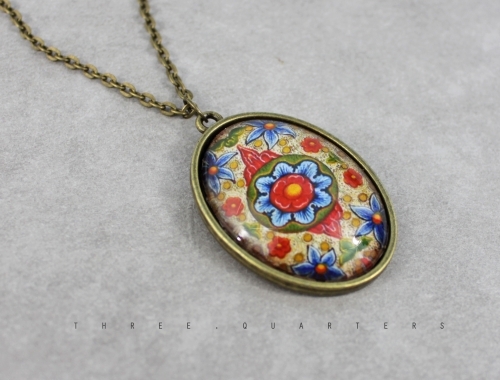 Genuine glass stone in bronze colored metal frame. Flowers pattern in beige, blue and red.